News and Clients | Rocky Intertidal CoCreative | A boutique marketing and public relations firm specializing in promoting the innovative, the visionary, the humanitarian. A page from the media kit we created for Manzanita Sign Company. If you want a quality sign made on the north Oregon coast, you´re going to want to track down Susan C. Walsh. Through her Manzanita Sign Company, Susan has hand-made a fair number of signs for everything from local businesses to municipalities. You´ve probably seen her work many times and never known it. Susan believes signs are the perfect vehicle for art in public places, and it shows. When she asked us to create a media kit for Manzanita Sign Company, we were happy to do it! Rocky´s Kelly has known Susan since she (Kelly) was a child growing up in Nehalem. Rocky´s LeeAnn met her in 2003 when she (LeeAnn) interviewed her for a newspaper article about the information kiosk she (Susan) had made for the City of Wheeler. So, the next time you or someone you know needs signage, contact Susan. You´ll be glad you did. Meanwhile, check out Susan´s media kit here. 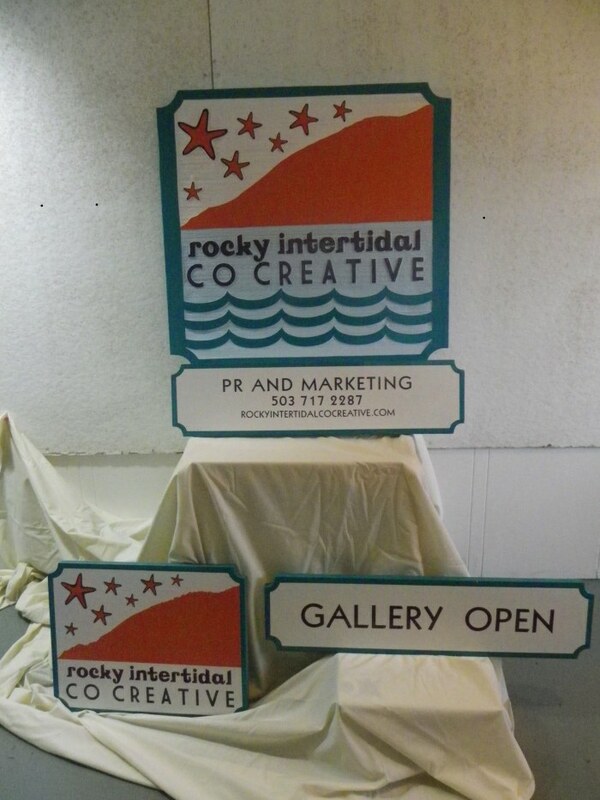 Susan Walsh created these signs for us – Rocky Intertidal CoCreative! Posted by rockyintertidalcocreative on April 4, 2013 in Uncategorized and tagged art in public places, Manzanita Sign Company, Susan C. Walsh. 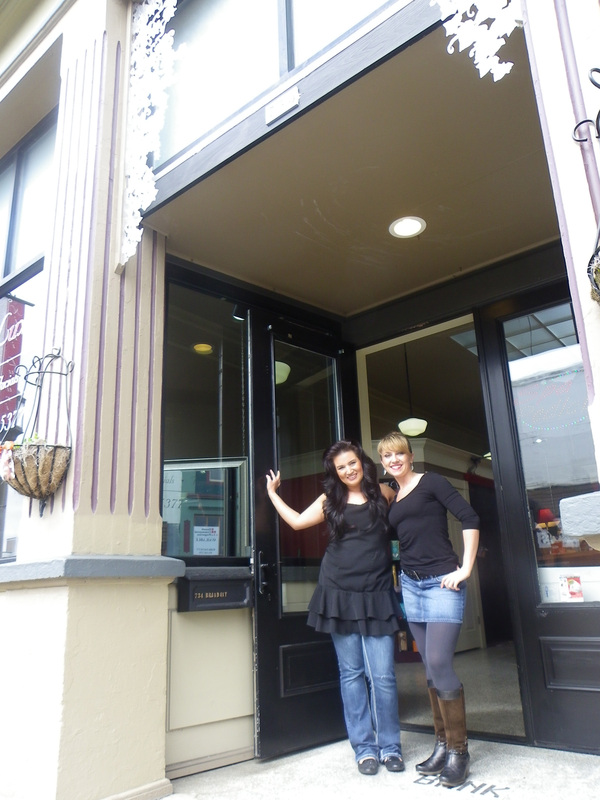 Nikki Scovel, left, and Jill Burch, outside Nikki Luxuria on Broadway, in Seaside. SEASIDE – Seven years after attending beauty school in Astoria together, Nikki Scovel and Jill Burch are working together to offer a comfortable, full-service salon experience geared toward locals and tourists alike. Scovel opened Nikki Luxuria, located at 734 Broadway Street across from Yummy Wine Bar, in May. However, it wasn´t until March that the two teamed up. “… And fun!” added Burch. Scovel graduated from Neah-Kah-Nie High School in 2005. She was raised in the Nehalem Bay area, where her parents still own Scovel’s Service Center. “I grew up in the shop,” she said. When it came time to consider her future as an adult, she decided to find a way to stick around the north Oregon coast. 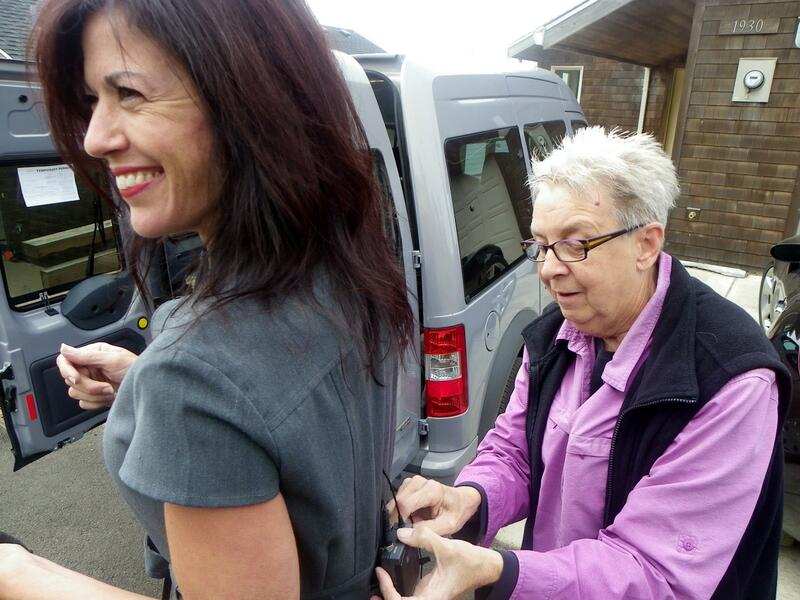 ¨I didn’t want to leave this area – it’s such a nice, beachy, coastal community,” she said. She enrolled at the former Paul Mitchell School in Astoria, later opening Nikki Luxuria. Meanwhile, Burch, who grew up in Republic, Wash., had opened a salon in Nehalem. She moved to the north Oregon coast initially to attend Ecola Bible School in Cannon Beach. After graduating from beauty school, she opened Beauty at the Beach in Manzanita, in 2007. Nikki Scovel (left) and Jill Burch take a break at Nikki Luxuria. Nikki Luxuria is a full-service salon, offering haircuts, color, facials, manicures, pedicures, tanning, makeup consultation, waxing, and a variety of products, including the Paul Mitchell hair line. It is available for bridal parties – Scovel and Burch even keep champagne on hand. Despite catering to clientele from all walks of life and economic backgrounds,¨We’re still country girls at heart,¨ said Burch. Reach Nikki Luxuria at 503-717-5377. Posted by rockyintertidalcocreative on April 4, 2013 in Uncategorized and tagged Broadway, NIkki Luxuria, Seaside. The other day, we were talking about how marvelous it would be to find a client who was involved in something, oh, scientific. Even inventy. It may have been because we had just watched Transcendent Man, and wanted to see more evidence of the Singularity, or it may have been because we are deeply curious people, but then we met Robert Reynolds, and suddenly we were representing a 3D printer company and 3D printing expert community. 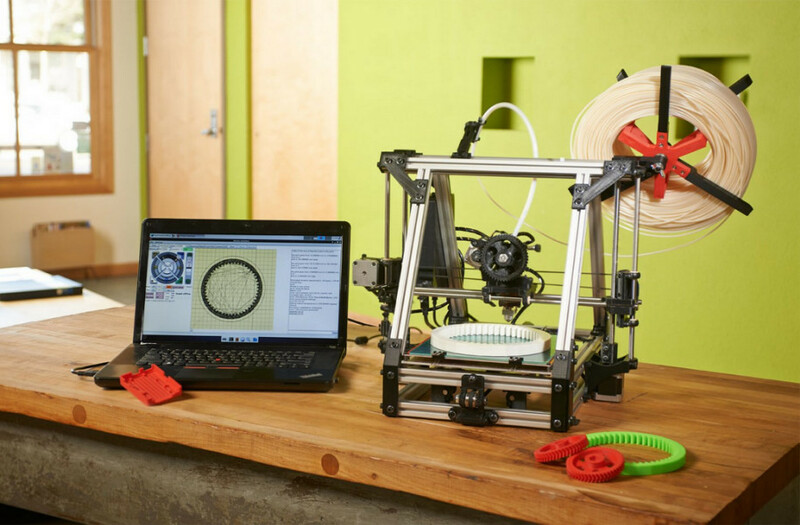 3D Makers, which is based in Florida and Arkansas, sells everything from 3D printers to 3D filament. It aims to serve as a clearinghouse of information for the industry, and is gathering 3D printing experts for its online community as we write this. As the marketing managers, we oversee the 3D Makers marketing team, which is composed of creative and technical professionals from Las Vegas to the United Kingdom. Posted by rockyintertidalcocreative on March 21, 2013 in Uncategorized and tagged 3D Makers, The Singularity is Near, Transcendent Man. 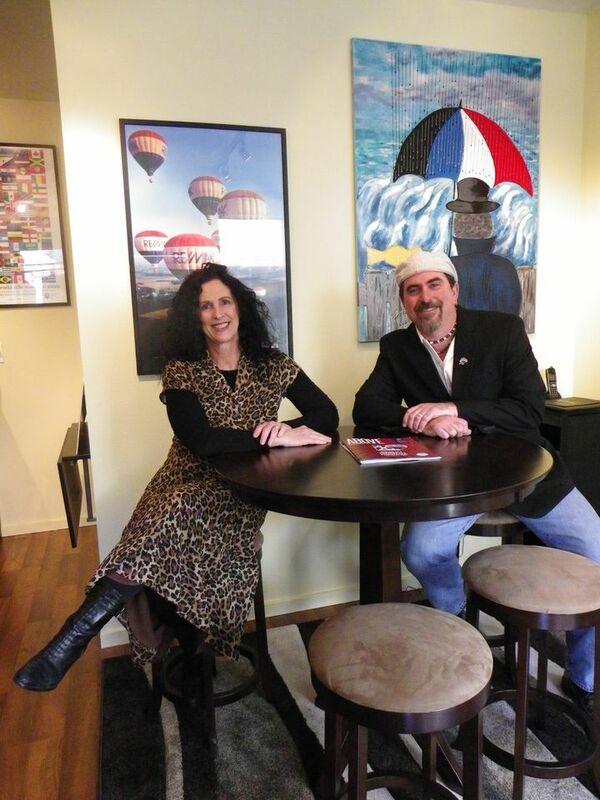 Alaina and Marty Giguiere in their new RE/MAX Coastal Advantage office in downtown Cannon Beach. CANNON BEACH – If you live in Cannon Beach, Arch Cape, Neahkahnie or Manzanita, you have probably noticed real estate ¨for sale¨ signs emblazoned with a familiar name cropping up. … Expect to see a lot more of them. The signs point to the emergence of a new local real estate firm – RE/MAX Coastal Advantage, based in Cannon Beach and independently owned and operated by Alaina and Marty Giguiere (pronounced Ja-Gear). “Even though the company is new, the expertise is not,” said Alaina, who has been a top-selling real estate agent in the region for more than 12 years. She was with Windermere Manzanita for over 10 years, and then joined Kamali Sotheby’s as the managing principal broker. She remained with Kamali Sotheby’s for two years before she and Marty launched RE/MAX Coastal Advantage. 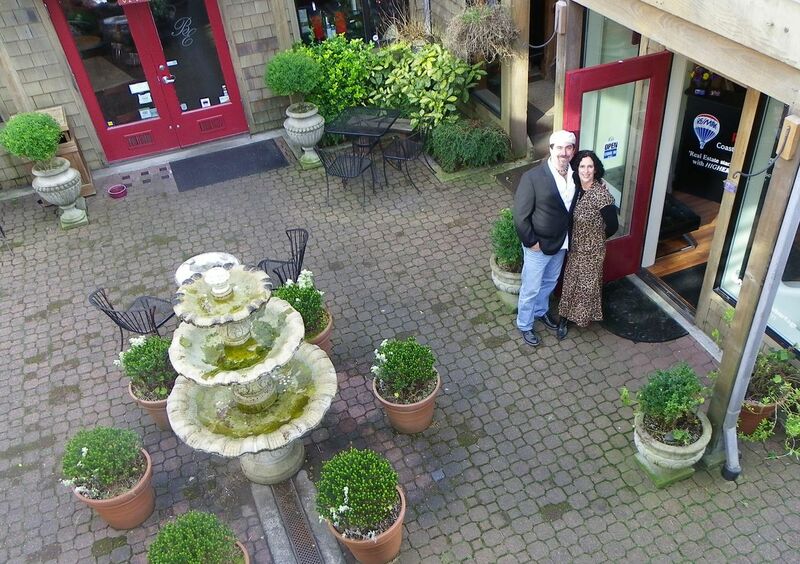 Marty and Alaina Giguiere in the courtyard outside their office. When they decided to open their own real estate business, the Giguieres were impressed with RE/MAX for a variety of reasons, including its agent support, brand recognition, the fact that the company is 40 years old and still privately owned, and by its true worldwide presence. 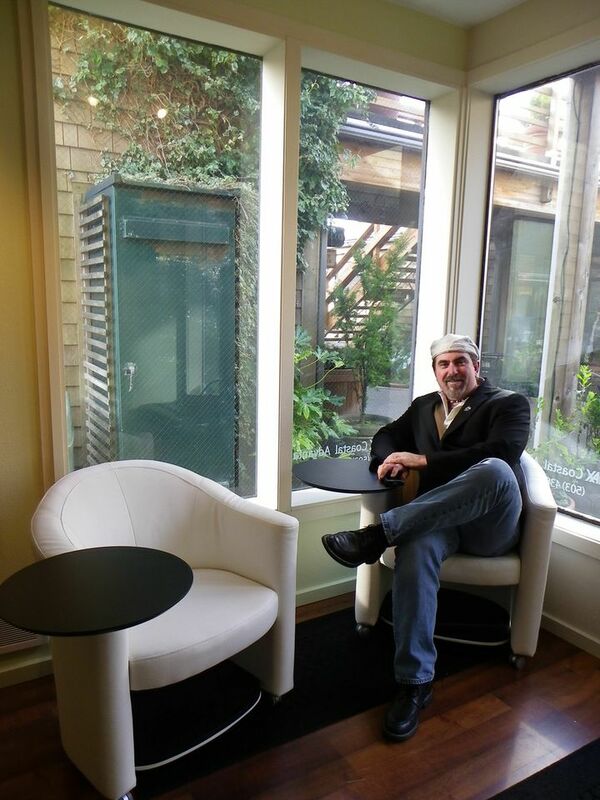 They officially opened RE/MAX Coastal Advantage at their downtown Cannon Beach office in February and are planning a grand opening, with an exact date to be announced. Alaina’s primary sales territory continues to be Cannon Beach, Arch Cape, Neahkahnie, and Manzanita, a stretch of coastline she knows well. ¨People come to Cannon Beach because it is a known destination, but they don’t always know about the communities to the south,¨ she said, adding that sometimes a client’s dream home is just down the highway. ¨While they are here, I take into account their needs and price-point – that way I can locate the perfect coastal property for them. 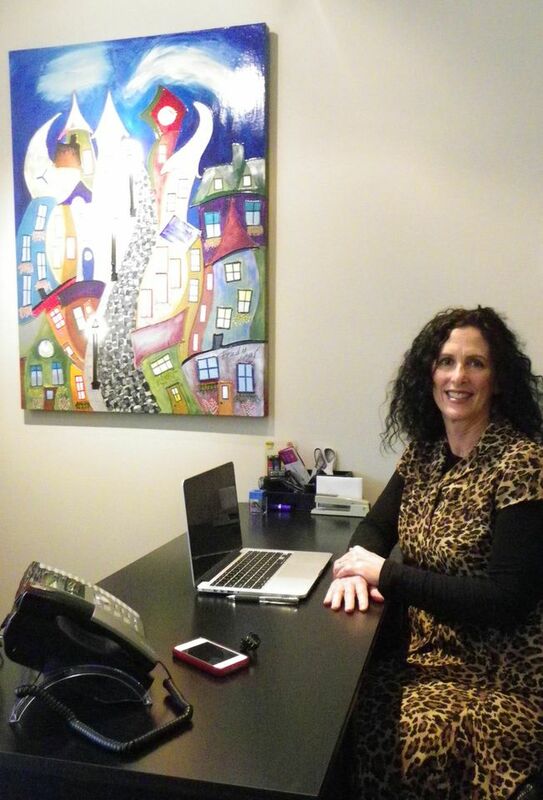 Alaina Giguiere in her new office in downtown Cannon Beach. Marty, who, after five years of urging, finally talked Alaina into starting their own real estate business, tends to work behind the scenes, keeping Alaina´s path to sales free of obstacles. ¨I do what I need to so that she doesn’t lose her focus,¨ he said, noting that he is also a licensed broker, so he can fill in where needed. When he met Alaina, Marty talked her out of her lucrative bartending job at the Hard Rock Cafe Las Vegas and into selling advertising in a cigar magazine, thereby launching her sales career. Marty Giguiere in the RE/MAX Coastal Advantage space. The Giguieres live in Cannon Beach, which has been their home for 15 years, with son Chance, who, with his straight-A average, is on the Broadway Middle School Honor Roll. Coastal Advantage is located between Pizza a fetta and Bella Espresso at 231 N. Hemlock Street, Suite 113, Cannon Beach, OR 97110. You can reach the office at (503) 436-1777. Learn more at www.mycoastaladvantage.com. You can read this press release on OregonLive.com here. You can also read it here, and here. Posted by rockyintertidalcocreative on March 1, 2013 in Uncategorized and tagged Alaina Giguiere, Arch Cape, Cannon Beach, Manzanita, Marty Giguiere, Neahkahnie, RE/MAX Coastal Advantage. 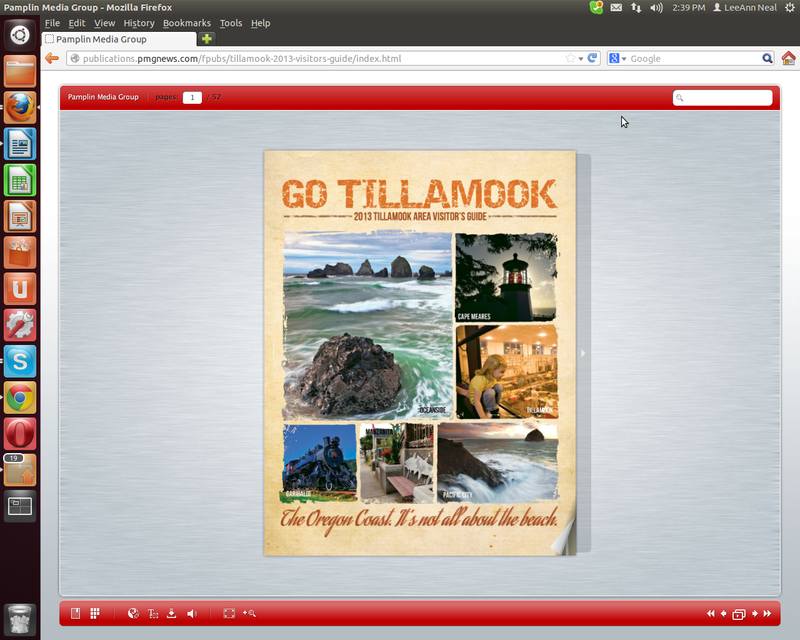 Just as the flora and fauna of the north Oregon coast point to the eventual return of spring, the 2013 Tillamook Area Visitor´s Guide has hit the streets and cropped up online. We worked with Justin Aufdermauer, executive director of the Tillamook Area Chamber of Commerce, which produced the guide, to write most of the copy, contribute some photos and sell a bit of advertising. Brandon Parmley, of Tillamook Design, designed the cover, while Pamplin Media Group was the publisher. The guide is distributed in the Portland metro area, Bend, Eugene, Salem, Seattle and along the Oregon coast. The guide covers the attractions of Tillamook County from Manzanita to Neskowin, offering maps, itineraries, and a business directory, among other features. You can read it, or download a copy here. Posted by rockyintertidalcocreative on February 23, 2013 in Uncategorized and tagged 2013 Tillamook Area Visitor´s Guide, Go Tillamook, Pamplin Media Group, Rocky Intertidal CoCreative, Tillamook Area Chamber of Commerce, Tillamook Design. 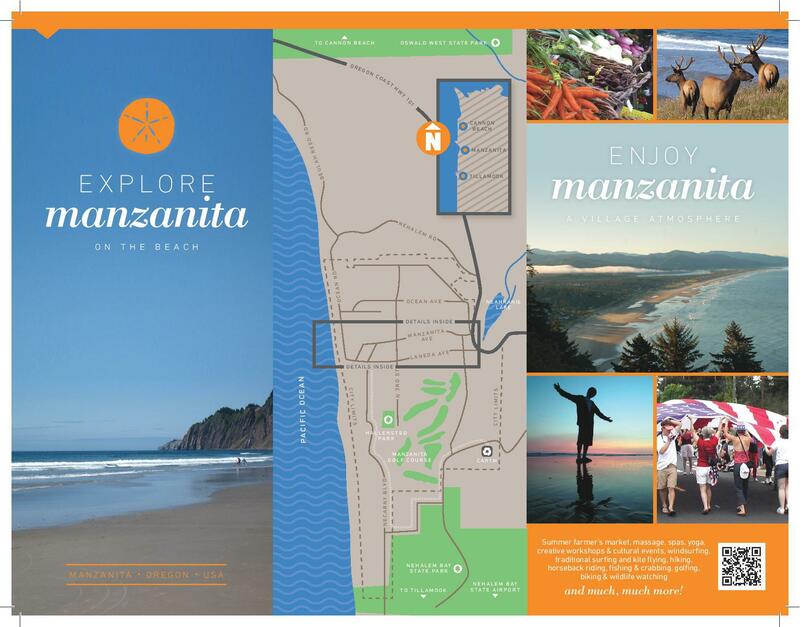 Last spring, Rocky took the City of Manzanita´s brochure and freshened it up. We added new photos, a new color scheme, a business map, and new business listings. 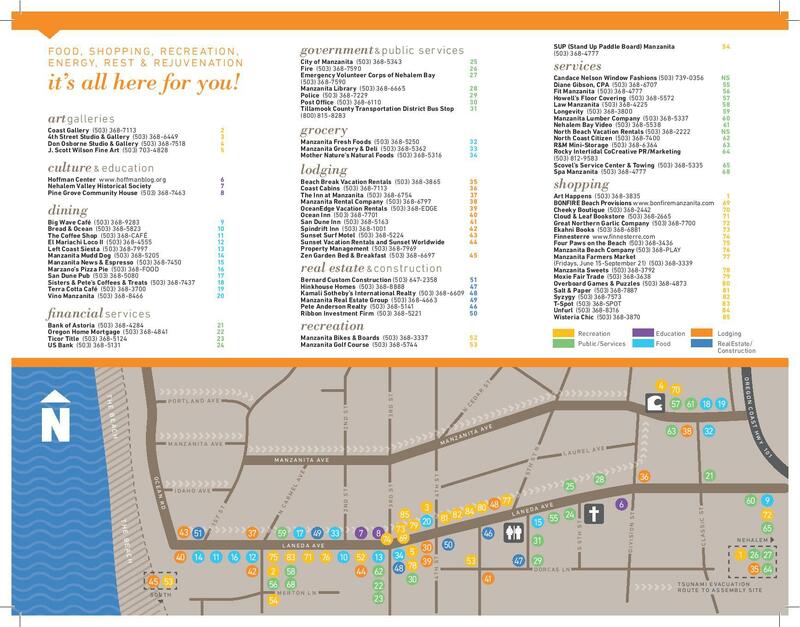 Look for the brochure throughout the city. Posted by rockyintertidalcocreative on January 20, 2013 in Uncategorized. Throughout the summer of 2012, Rocky Intertidal CoCreative´s Kelly Benson and LeeAnn Neal spent a fair amount of time hooked to microphones. 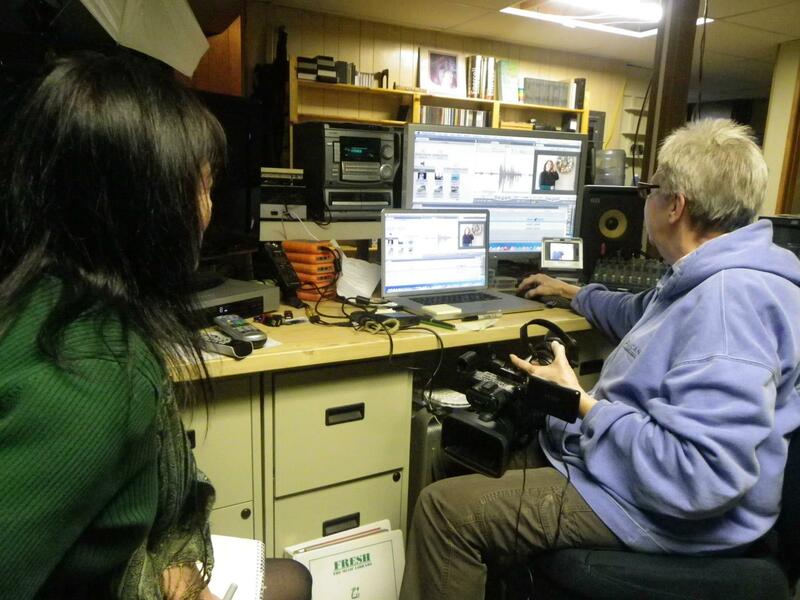 … That´s because we were working with Jane Scott, Tillamook County´s own video maven, on the pilot episode of Ride Along on a Home Tour. Jane thought of the program as a way to showcase local real estate and Realtors while capturing the scenery and other attributes of the area. She approached us about it one night at a Tillamook County Commissioners meeting. … How on earth could we say no? You can watch the pilot, and lots of other local programming – including exclusive episodes of Let´s Talk With Van Moe – on Jane´s TCTVonline.com, local internet TV channel. We recently teamed up with ABOUT FACE Magazine, of Portland, to offer businesses on the Oregon coast the opportunity to advertise in a publication that reaches a demographic inclined to look for a unique vacation experience. Readers are 66 percent female and 34 percent male, with the majority falling into the 25-54 age range. They tend to be frequent shoppers, avid restaurant goers, college educated, working professionals and homeowners. The magazine spotlights Oregonians who represent a wide range of endeavors. Each issue is filled with interviews with local celebrities and other interesting subjects. The quarterly publication also features themes, with spring focusing on fashion, sport and automotive; summer on food, drink and travel; fall on fashion and interior design; and winter on home design and construction. Copies of the magazine are distributed in the Portland Metro area, Willamette Valley, Central Oregon and in various locations on the Coast. Publishers David Bentley and Michael Sant launched ABOUT FACE in the spring of 2011. 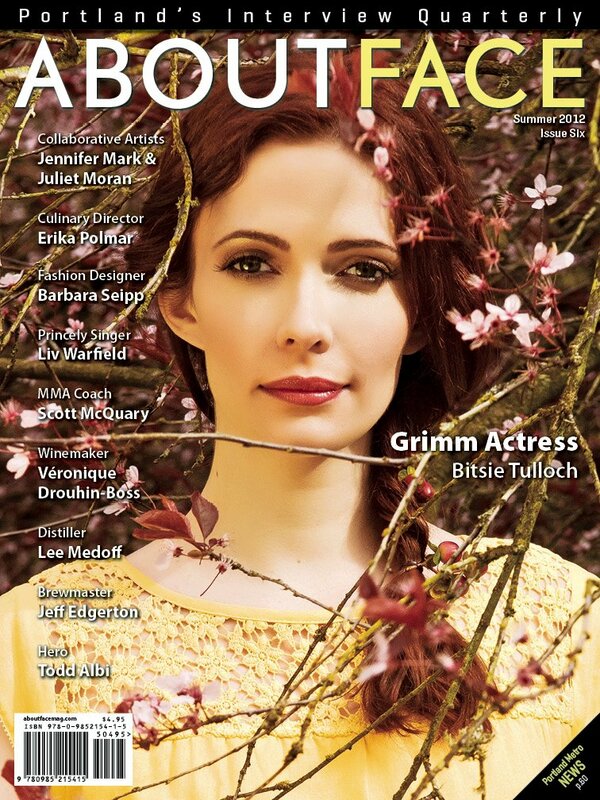 As with subsequent issues, that first issue highlighted Portland celebrities, including cover photo subject China Forbes, lead singer of Pink Martini. The magazine continues to focus on innovators in many fields, including arts, culture, music, fashion, design and science. Recent interview subjects have included Tim Boyle, son of Gert Boyle and president and CEO of Columbia Sportswear; Chelsea Cain, New York Times best-selling author of the Gretchen Lowell series; Naomi Pomeroy, owner and executive chef at Beast; and John Spencer, Portland Timbers coach. Bentley and Sant named the magazine for those “about face” moments of clarity or change everyone experiences. 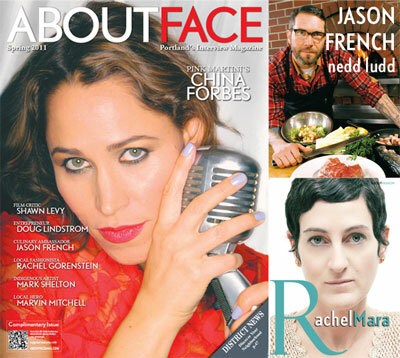 Without exception, every exceptional Portland resident featured in the magazine has had his or her own “about face” moment. 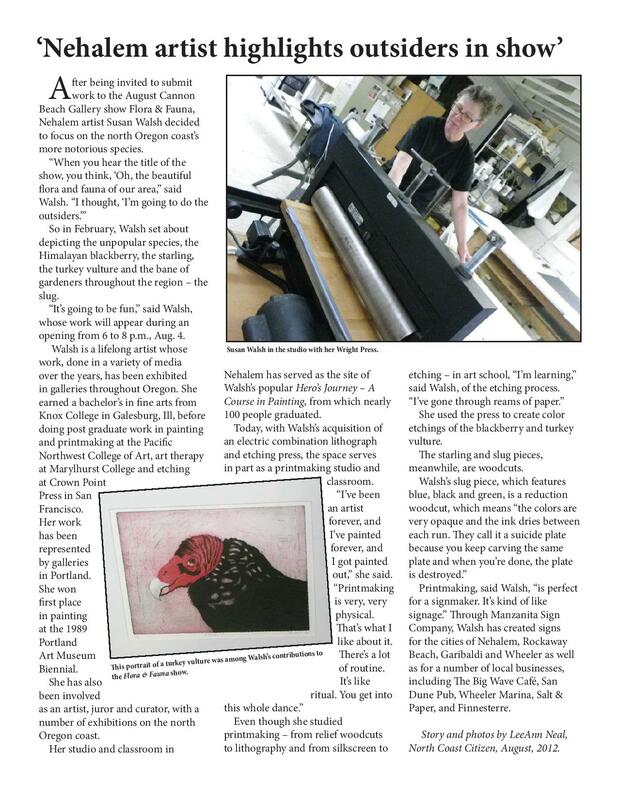 Copies of the current issue of the magazine are available at locations throughout the Portland Metro area, including in many medical clinics, New Seasons Markets, Powell’s Books, Annie Bloom’s Books, Siler Studio Gallery in the Pearl District and Blush Beauty Bar in Nob Hill and other beauty salons, to name a few. You will find that pricing for ads in ABOUT FACE is highly competitive. Please don’t hesitate to contact us with any questions or for more information. Rocky’s Kelly Benson (far right) during a modeling shoot with the ABOUT FACE Magazine photographer. Posted by rockyintertidalcocreative on October 13, 2012 in Uncategorized. SEASIDE – Sept. 22 is your chance to enjoy a party at the beach while supporting those with special needs on the north Oregon and south Washington coasts. The festivities are scheduled for that day at Quatat Park during the Annual Buddy Walk at the Beach. The walk is one of more than 300 such events to be held across the nation this fall to raise awareness and funds for programs that benefit people with Down syndrome and their families. While NCDSN is affiliated with the National Down Syndrome Society, which founded the National Buddy Walk Program, it doesn’t restrict itself to serving only those with Down syndrome, said Sherman. “We’re here to help any families with special needs.” The group’s service area extends from the Long Beach Peninsula in Washington to Lincoln County. Sherman is joined on the NCDSN Board by fellow north Tillamook County residents Bill Sherman, Julie Chick, Stacey Schuring, Tracie Bailey and Vicki Chase. NCDSN outreach includes financial assistance in the form of food gift cards for families whose loved ones with special needs are in the hospital in Portland and a lending library headquartered at Nehalem Elementary School available to anyone who would like to use it. 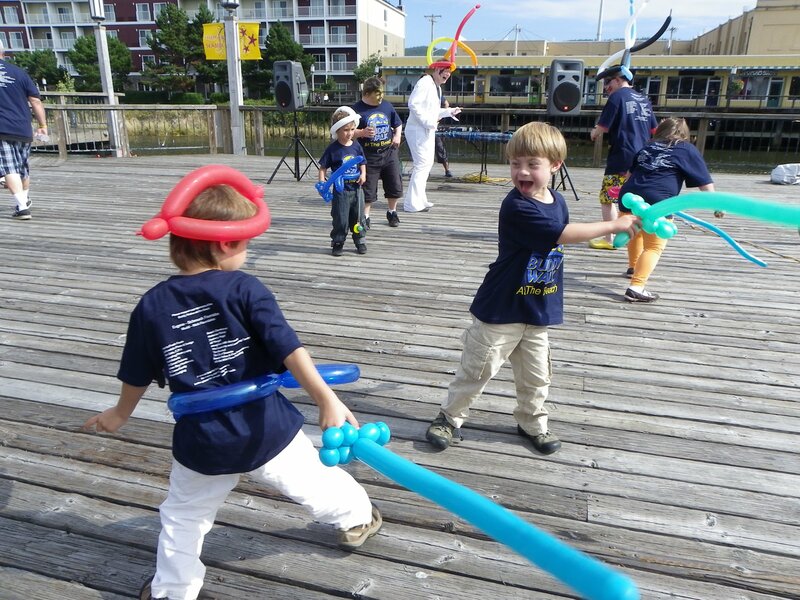 The Buddy Walk is NCDSN’s primary fundraising event. Last year it used a portion of money raised to purchase apps and protective covers for several iPads donated to Nehalem Elementary and Garibaldi Grade schools. The Mudd Nick, Eugene Schmuck and Life to the Max foundations purchased the iPads, three of which are used in Nehalem Elementary’s LifeSkills and Learning Center, which serves students with special needs. This year’s Buddy Walk will feature guest speaker Dr. Joe Pinter, director of Child Development & Rehab Center at the Doernbecher Children’s Hospital Down Syndrome Clinic in Portland, as well as special guest Miss Oregon, Nichole Mead. Pinter received his medical degree from UCLA before completing his residency in pediatrics at the University of Washington and Cedars-Sinai Medical Center. He completed a pediatric neurology residency at Boston Children’s Hospital/Harvard-Longwood Neurological Training Program. His research has focused on neuroimaging in congenital brain anomalies and Down syndrome and his clinical interests include Down syndrome, Tourette syndrome and congenital brain anomalies. Those who participate in the event will have the chance to meet and have their photos taken with Miss Oregon. 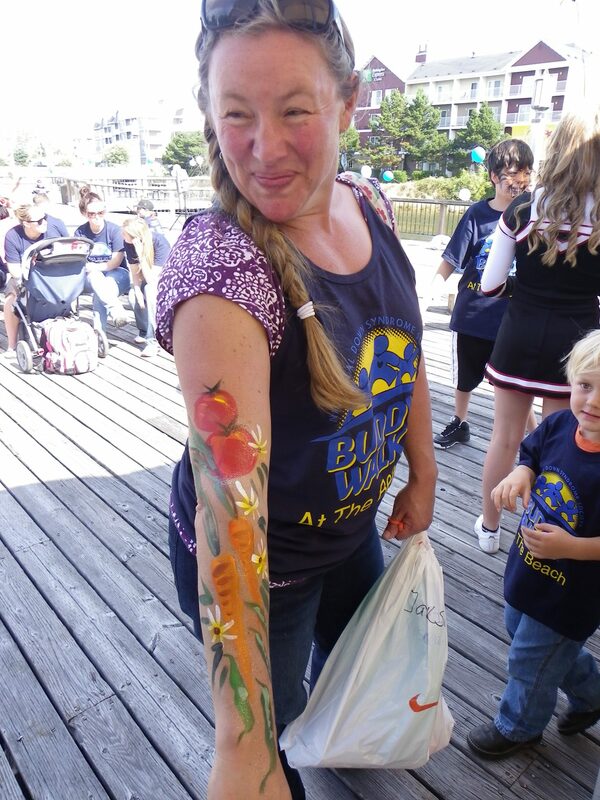 The Buddy Walk at the Beach will also include the main event, a walk from Quatat Park to the beach and back, the ever popular face painting with Bizzy the Clown, lunch and a raffle. Registration costs $12 per adult and $6 per child, and includes a T-shirt, lunch and more. Those who preregister will get a number in line for face painting. The North Coast Down Syndrome Network is happy to accept sponsorships as well as to work with volunteers. Donations are tax-deductible. For those who haven’t preregistered, registration at the event will begin at 10 a.m.
For more information, contact Sherman at 503-368-6892 or debsher123@live.com or visit northcoastdsn.org. Posted by rockyintertidalcocreative on September 10, 2012 in Uncategorized. We recently partnered with Tillamook Design and the Tillamook Area Chamber of Commerce to begin producing the Chamber’s monthly newsletter. Rocky Intertidal CoCreative and Tillamook Design are both Tillamook Area Chamber of Commerce members. 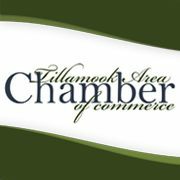 Thanks to Executive Director Justin Aufdermauer and the Tillamook Area Chamber of Commerce Board of Directors for choosing us for the job! Click here to join the Chamber. Posted by rockyintertidalcocreative on September 4, 2012 in Uncategorized and tagged Tillamook Area Chamber of Commerce, Tillamook Design.